It’s the second week of June, which means the PR team at Stoner Bunting is up to its elbows in NeoCon preparation. The largest commercial interiors show in North America, NeoCon takes place June 13-15 at the historic Merchandise Mart in Chicago. This year, our agency will be sending five team members to support clients Wood-Mode Fine Custom Cabinetry, Armstrong Flooring and INSTALL. 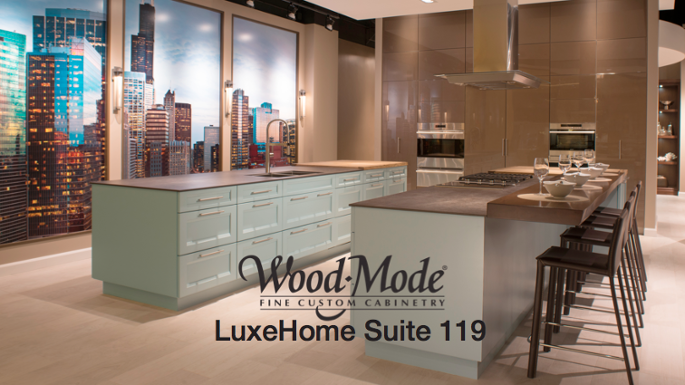 Wood-Mode also invites industry professionals and the media to visit the Lifestyle Design Center throughout the show to browse the brand’s American-made products and lifestyle design themes. 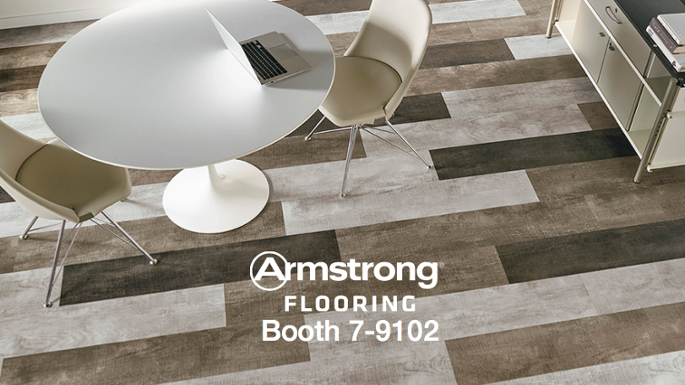 Armstrong Flooring makes its return to the show this year, through a display of award-winning products, designer-focused flooring solutions and interactive activities at Booth 7-9102. By participating at NeoCon, the storied brand aims to solidify its dedication to meeting the design, budget, sustainability and performance needs of commercial interior designers, architects and industry professionals. A nod to Natural Creations® with Diamond10™ Technology, an innovative new luxury flooring technology made with cultured diamonds, the Diamond Wall contains hundreds of diamond-shaped paperweights. They might not be real diamonds, but attendees can choose a diamond at random after their badge is scanned for the chance to win a $5 Starbucks gift card. Twenty winners will be selected each day of the show. With Continuum™ Solutions, which brings complementary designs and colors across Armstrong’s full portfolio of commercial flooring, interior designers and architects can easily bring custom designs and product combinations to life with the online DesignVisualizer tool. Participants can mix and match products and colors, and apply them to a full room for a more realistic interpretation. Learn more about Armstrong Flooring’s take on the fastest-growing segment of commercial flooring. Show attendees can try their hand at scratching Natural Creations with Diamond10 Technology product samples to see up close and personal how the flooring holds up against wear and tear. Diamond10 Technology uses the hardness of cultured diamonds to keep select Armstrong products looking new through years of use. Designers, architects and industry professionals can experience the performance technology for themselves at demonstration tables located within the booth. Armstrong Flooring invites show attendees to take part in some or all of these activities, and browse its full line of commercial flooring products at Booth 7-9102. 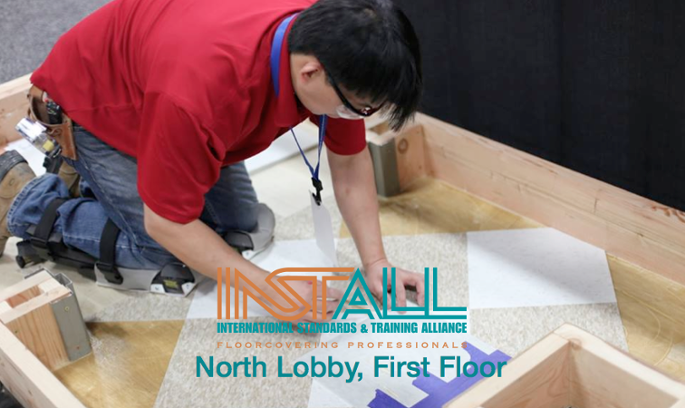 INSTALL, the leading floorcovering training and certification program in North America has partnered with Mohawk Group to showcase new and innovative installation techniques, including floating carpet tile installations with FlexLok tabs and loose lay LVT. This series of dynamic demonstrations using new Mohawk Group flooring products will occur throughout the day Monday and Tuesday of the show in the North Lobby of the Merchandise Mart. With INSTALL’s floorcovering expertise, the Chicago skyline will be brought to life in a 16’ x 16’ space using newly introduced products from Mohawk Group.